Blizzard has just put their Hearthstone CCG in "Open Beta" if anyone is interested. Right now it is Windows/Mac only, but will be coming to Android/IOS later in the year. wow looks awesome. I do not have a blizzard account but I played the WOW TCG a little bit so I will check this out. Thanks guys! Once I am up and running I will post my blizzard handle and you can challenge me to games. Cheers! I too am loving this. I have not figured out friends on battlenet since I do not play WoW or Diablo, etc, I was never on until now. But my name on there is shobi6669. I have not figured out how to invite someone to a game as I suppose we have to both be online at the same time, but feel free to add me if that is possible or becomes possible in the future. I like the quests and the way I have not had to spend any money. I have not braved the arena mode yet but am looking fwd to it as it seems the most like drafting or sealed deck to me. This can scratch the same itch as magic but so far has been free. Thanks for the heads up on this one, it seems like a keeper. 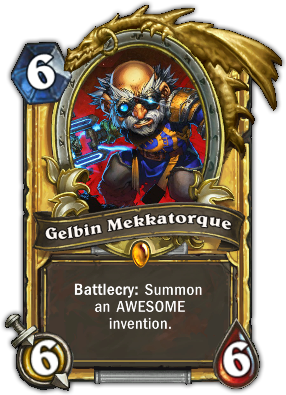 FYI - If you purchase (with money, not gold) at least one pack of cards during beta they give you the below Legendary card. I have not tried this, but LRO has been playing. Last edited by Skittlebrau on Mon Feb 03, 2014 3:40 pm, edited 2 times in total. I didn't realize I needed to give my email but Harb and SB clued me in. Loving the game please feel free to add me to your friends list. Okay, I'm in for this too! Horrorstalker at yahoo.com or Looper #1138. I'm having to split computer time with the youngest, as I got him hooked on Mechwarrior 4 Mercenaries. But when it's my turn, it's Hearthstone for me.